Your personal RV site is spacious with 30/50 amp electric, water, sewer, Wi-Fi, campfire ring and picnic table. You’ll have the option to pick from a variety of roomy and private sites many include a beautiful view of Lake Kabetogama. The Pines of Kabetogama Resort is proud to be named the Best Place Stay in Minnesota with Your Motorhome! Starting at $3000.00-$4500.00 depending upon location. All sites are spacious accommodating big rigs, buses, motor homes, travel trailers, ice houses and 5th wheels. Plenty of room for slide outs. Our friendly staff will assist with back-in and pull-through sites plus well behaved pets are welcome. Premium RV Campsites have a concrete pad up to 10’ x 40’; include an electric golf cart, beautiful view of Lake Kabetogama, and dock space for one boat. Each site has 30/50 amp electric, water, sewer, and Wi-Fi. Premium site rates are $120 + tax nightly. Preferred RV Campsites are spacious and most have a concrete pad up to 10’ x 40’. 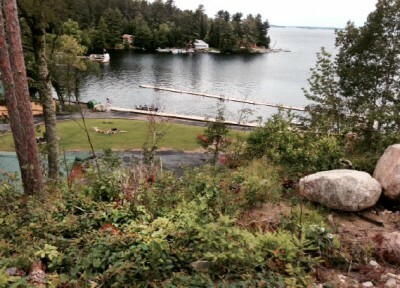 These sites have partial views of Lake Kabetogama. Each site has 30/50 amp electric, water, sewer, and Wi-Fi. Preferred site rates are $95 + tax nightly. Standard RV Sites have 30/50 amp electric, water, and sewer. There are larger grassy sites with water and electric only. Standard site rates are $75 + tax nightly. All RV sites have campfire ring and picnic table. For your convenience, we have clean restroom/shower facilities, coin-operated laundry, firewood, ice, small general store, off-sale liquor. For resort guest exclusively, our new marina offers motorboat rentals, gas, ice, live bait and boat slips with electric and water. We have a sandy beach, kayak and paddle board available for your use. 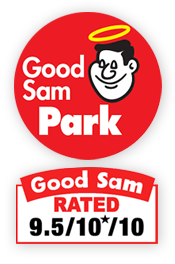 Good Sam members 10% discount for RV sites.